THE PEACH BUZZ: Kappa Iota Zeta Youth Auxiliary - Archonettes, Amicettes, Pearlettes On The Move! Kappa Iota Zeta Youth Auxiliary - Archonettes, Amicettes, Pearlettes On The Move! 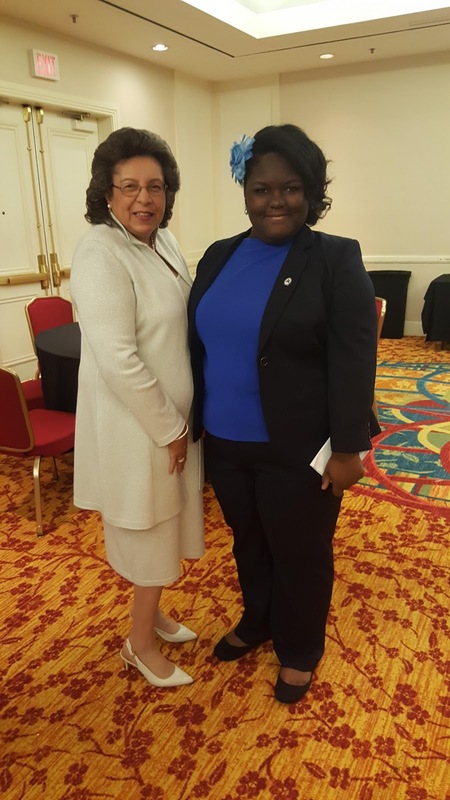 The youth represented Kappa Iota Zeta (KIZ) exceptionally well at the 82nd Southeastern Regional Conference held in Atlanta, GA. Joy Johnson, the Archonette President was invited to speak at the opening ceremony to give the welcome. Additionally, she was greeted to a warm reception with the Madam Grand Wright, Commissioner Emma Darnell and Executive Director of Airport Area of Chamber of Commerce Executive Director Carmenlita Scott. She was the highlight of the evening. The youth took home numerous awards. The youth competed in the Regional Spelling Bee where they took first, second and third place. Additionally, they were all recognized for all A’s and AB Honor Roll. March for Babies 2015, the Pearlettes raised the most money $500.00. In 2016, The KIZ Youth took first place in the Regional Youth Project: March for Babies/Coins in a Baby Bottle donation. The total amount of coins received by the KIZ Youth were over $150. KIZ Pearlettes were able to meet Soror Sheryl Underwood and take pictures. 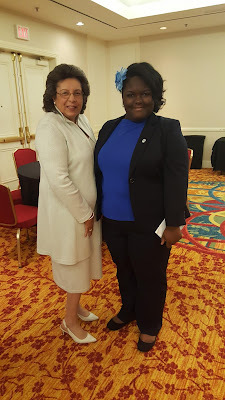 The youth really enjoyed Soror Underwood. KIZ Youth created Christmas Cards for the Seniors at Cosby Spear High-Rise and also our lovely Doves. KIZ Youth wrote letters to our military services members in recognition of Veteran’s Day. Fundraising Events: the selling of the Waffle house coupons. Overall the youth raised over $200. More to come!! The Archonettes had four young ladies to induction to the youth auxiliary. Joy Johnson is the President, Arshanti Williams is the Vice President, Monique Tuft is the Secretary, and Cierra Williams is the Treasurer. These young ladies have done several ZHOPE projects this year so far. KIZ Youth also attended Union City Breast Cancer Walk; where they helped sign runners and walkers in and passed out snacks and water. KIZ Youth also attended the Harp Concert. This was a real treat for all involved.